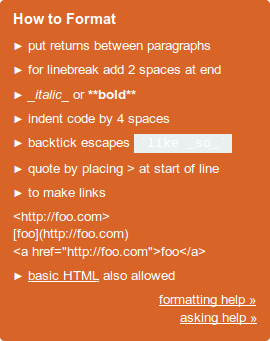 but the backquoted portion is nearly invisible (white text on light gray background). Go to the Ask Question page. Click in the body textarea. The box with the invisible text should appear. 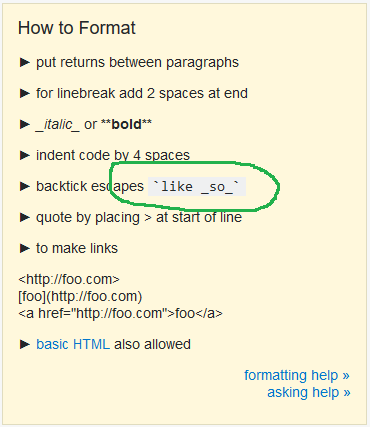 This design issue has been fixed in the How to Format section. Not the answer you're looking for? Browse other questions tagged bug status-completed meta design .